Unity’s Animation System has special features for working with humanoid characters. Because humanoid characters are so common in games, Unity provides a specialized workflow, and an extended tool set for humanoid animations. 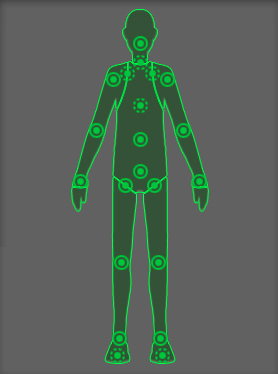 The Avatar system is how Unity identifies that a particular animated model is humanoid in layout, and which parts of the model correspond to the legs, arms, head and body. Because of the similarity in bone structure between different humanoid characters, it is possible to map animations from one humanoid character to another, allowing retargeting and inverse kinematics (IK).